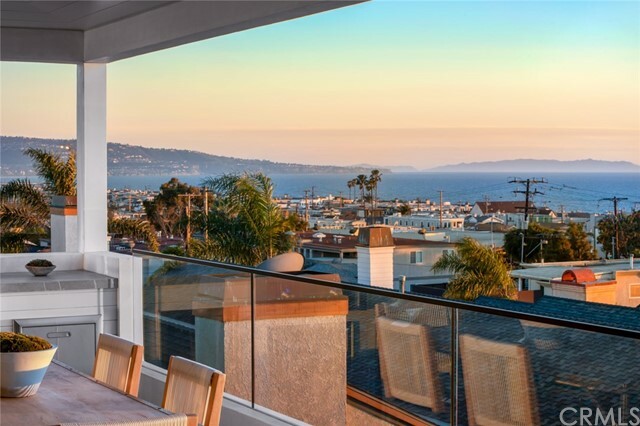 Just a few blocks from downtown manhattan beach, the pier, & the ocean. Every incredible restaurant, shop, and beachfront living at its finest, what more could one ask for? The spectacular beach property is a large 5,000 sqft of open living space. Boasting tons of style, incredible design and impeccable attention to detail throughout. Conceptualized by matt morris and drawn by doug leach. Wide plank natural finish oak hardwood floors pull you into this home. Then the details and craftsmanship starts to impress: thermador appliances, brand new a/c, heated patio with sound, and an elevator to name a few. The top floor has an expansive open concept floor plan that brings a beach vibe into your living room by seamlessly connecting indoor and outdoor spaces. This floor is perfect for entertaining with its built-in barbecue, ocean views, and tons of space. The middle floor is highlighted by a spacious master bedroom retreat with a spa like feel inherited from a tastefully designed en-suite bathroom. Find 3 more amply sized bedrooms, 2 baths, and a laundry room on this floor. The ground floor has a 4-car garage great for an auto enthusiast or anyone requiring tons of storage. To top it off this floor features a fully equipped guest suite with: bedroom, bathroom, office, media room, kitchenette and private patio with access to the walkstreet. 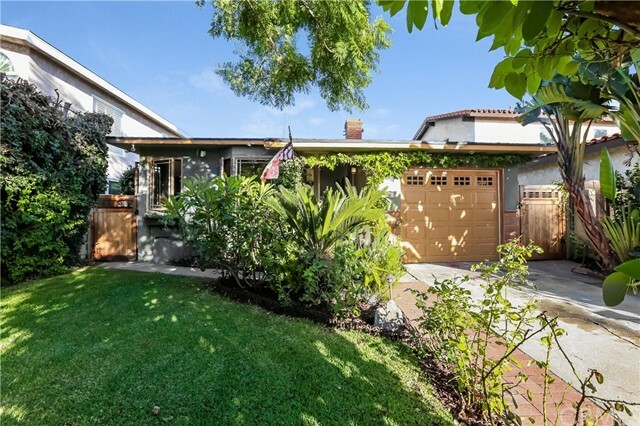 This home has it all, plenty of space, built for entertaining, in beautiful manhattan beach, and quick access to the westside for commuters. A must-see charming beach home! Relax & enjoy beach life at its best in this peaceful tree section home. Beautifully upgraded by the same owners for 23 years, seamlessly combining indoor and outdoor living. 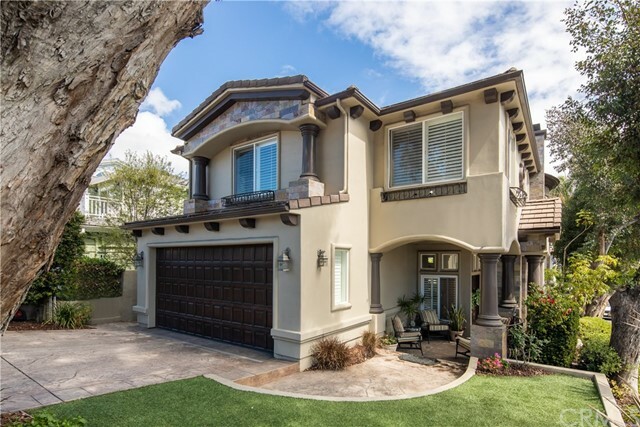 Custom dutch front door,beautiful bay windows, newly installed overhead led lighting, gas fireplace & ample living room/dining room combo while conjuring ocean breezes and incomparable sunsets. 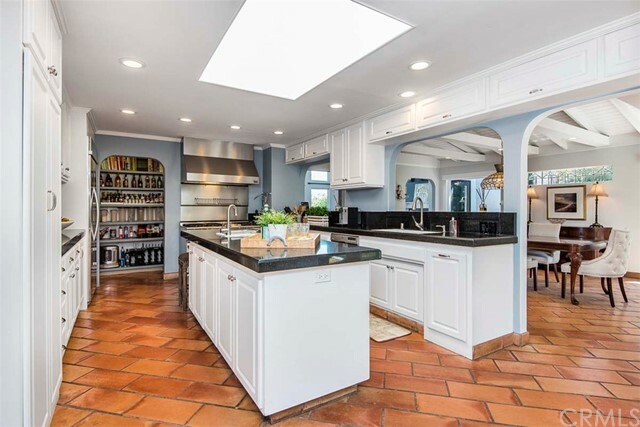 Recently upgraded galley kitchen, separate laundry room w/ newly installed marble tile & accents, adjacent to outdoor lava rock shower for rinsing off after the beach. Four bedrooms including master bedroom w/ attached bath opening onto rear deck w/ jacuzzi & beautiful backyard kept private by tuscan-style stonewall and lush tropical landscaping. Family room/bedroom sports in-wall saltwater reef tank, b&w surround sound home entertainment system & exit via mahogany pella french doors onto covered outdoor flagstone entertaining/patio area equipped with overhead heat lamps, mood lighting, bubbling automated fountains, b&w outdoor speakers/audio streaming & gas grill. Tech-savvy, wifi-controlled security cameras, sprinkler system, garage door and other state-of-art digital features, as well as attached garage with shelving/storage & attic storage throughout. 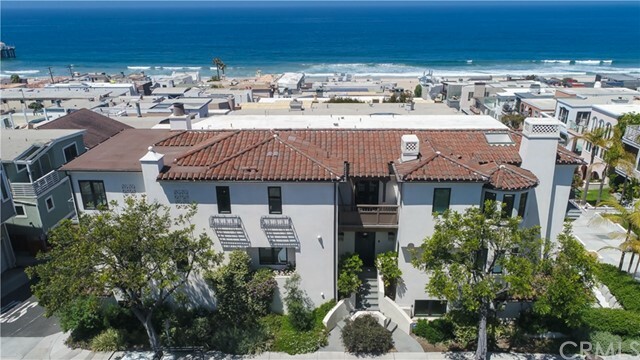 Centrally located beach charmer within walking/biking distance to great schools, premium dining and shopping (point, manhattan village, downtown), green belt and parks, and of course, only a mile to the pacific ocean and strand.